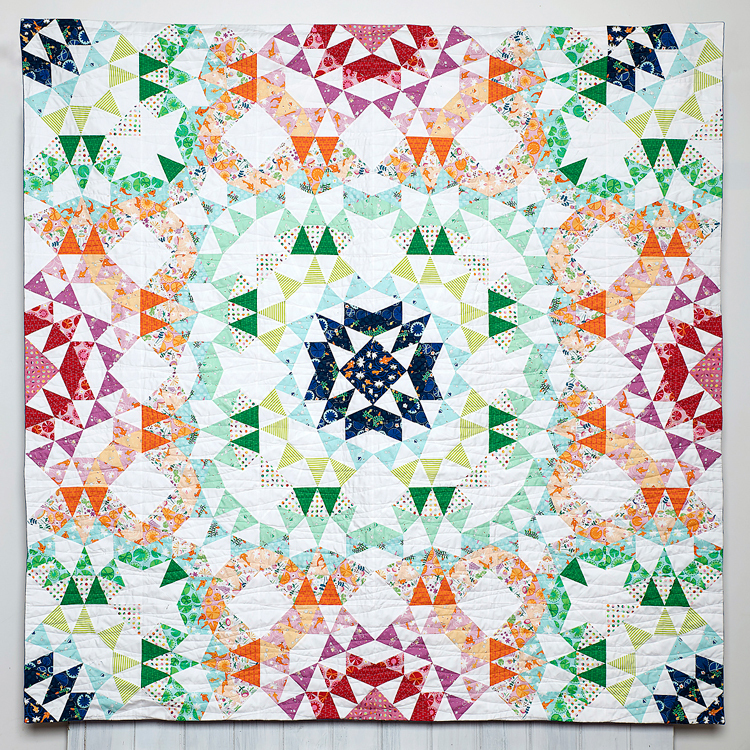 Something a little different from Claire is her brand new Breezy quilt pattern. Suitable for accomplished patchworkers looking for something a little bit more challenging. Breezy is a full colour A4 pattern and comes complete with two acrylic templates. The pattern has been designed to work with 23 fat quarters + background fabric.